Evergreen perennial. 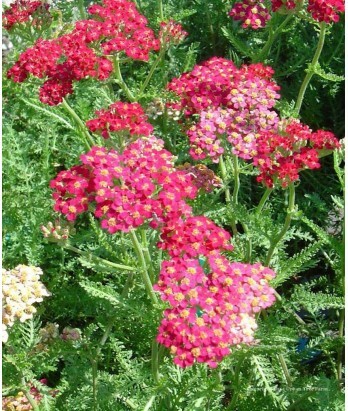 These hybrids of the California types have ferny gray-green leaf clumps with upright flowering stems and flat flower heads of bright red in spring through summer. Low mound of foliage stays green through most winters. Deer resistant. Light to moderate water needs once established. Adaptable to various soil conditions. Hardy to 0°F or below.